awyers representing Rwandans detained in Uganda prisons have asked the Attorney General to allow them be tried in civilian courts since they don’t belong to the military forces.It’s almost two weeks since Rwandan authorities closed the Rwanda-Uganda board of Katuna. According to Rwanda Minister of Foreign Affairs, Dr Richard Sezibera, Uganda is detaining and torturing a good number of Rwandans though, his Uganda counterpart Sam Kutesadenies the allegations. 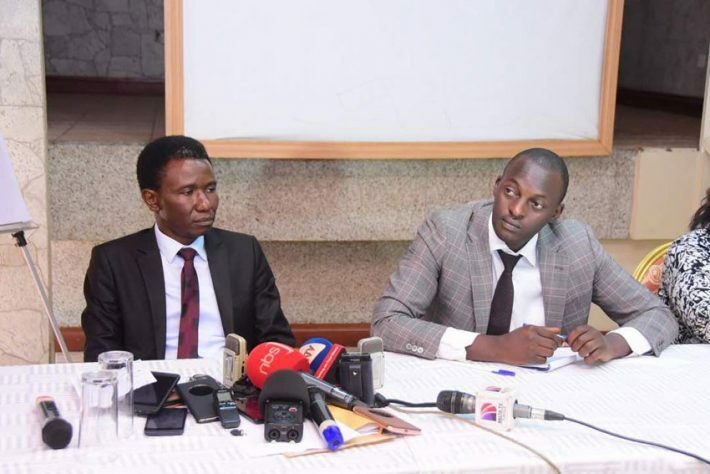 On Monday Lawyers from Kiiza and Mugisha advocates led by Eron Kiiza came out and confirmed to the public that there some Rwandans who were illegally arrested and tortured by the Ugandan security operatives and that some of them were deported to Rwanda after being tortured. Addressing journalists in Kampala, Kiiza said that their clients were arrested and detained in custody for beyond the stipulated time as per the constitution. Up to date, the lawyer says they are denied access to the victims who are being detained at Makindye Military barracks. He reveals that among the detainees, no one has ever been tried in accordance to law or granted bail however much they have repeatedly tried to ask for it. Kiiza further stated that the cases against their clients are forged thus vowing to fight the injustice by the government of Uganda. The lawyers tasked government to release their clients unconditionally if they cant try them in civilian courts of law.